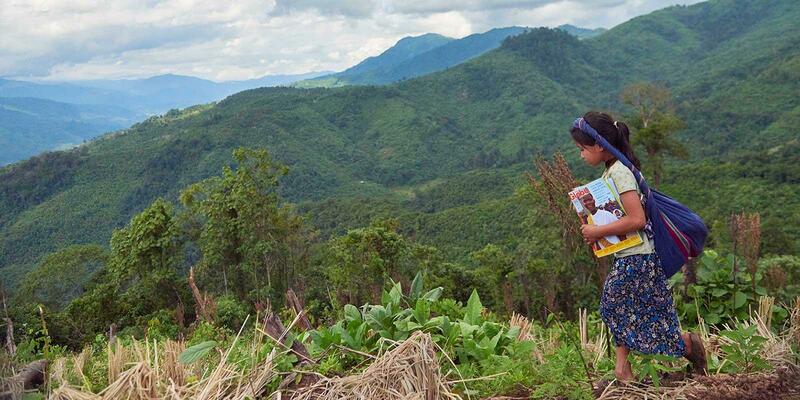 Fourteen-year-old Naw Klei Tha Paw and her friends have spent several tough days hiking through the rainforest-covered mountains of Burma. The children are from the Karen people, one of Burma’s many minority populations. Tens of thousands of children and youth around the world have been trained and empowered as changemakers to become World’s Children’s Prize Child Rights Ambassadors.